By the way, our meeting place was at Jollibee beside Quiapo Church. While waiting for Marcus and Jamm, I and Shea stayed in the fast-food, facing the left side of the gorgeous facade of the church. I have been seeing this structure on TV and magazines, but its intricate designs never stop amusing me. The curves, lines, circles and the details on the walls and columns of Quiapo church are amazingly beautiful. This church houses the Black Nazarene. Brief History: The first structure Quiapo Church was made of bamboo and nipa palm, built by the Franciscan Missionaries. But in 1574, the pirates destroyed and burned the church. In 1588, Fr. Antonio de Nombella, a Franciscan friar, founded this church and declared it as the Parish of St. John the Baptist. It was again burned in 1603. In 1686, the full construction was started initiated by Gov. Gen. Santiago de Vera. For our next destination, we walked on the street adjacent to Quiapo Church. This street stretches to Carriedo where our next destination is located. This street is busy because of the shops and vendors occupying all the sides. We were walking on the road for fifteen minutes when we noticed the stunning color of Sta. Cruz Church from afar. When I entered the church, I knew that I am stepping on the floor that is made of pure marble; the chandeliers on the ceiling, the golden brown altar and the details on the walls and columns are very noticeable because of its white interior. We stayed by the fountain in front of Sta. Cruz Church for thirty minutes before we proceeded to our next stop. Brief History: Sta. Cruz Church was constructed by the members of the “Society of Jesus” or known as the Jesuits in 1608 up to 1768. It is the first Roman Catholic Church built in this area. Its structure is made up of blocks of adobe quarried from the nearby provinces. It was dedicated for the newly converted Chinese who lives in Manila. By the fountain, we rode in a jeepney with Lawton signboard to our next destination. While on the road, after crossing the bridge near Carriedo, I noticed a prominent structure approaching us – it was the Post Office Building. 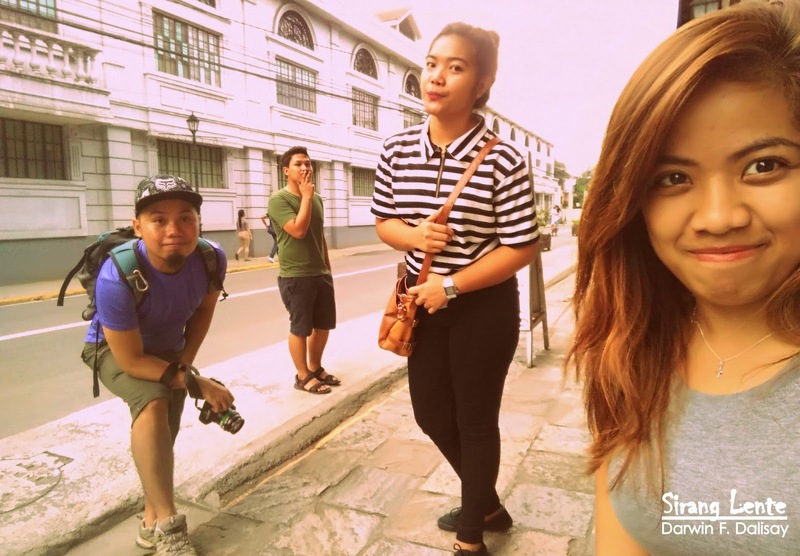 Instead of heading to Intramuros or Binondo, we immediately alighted in front of the building and took few shots. Stayed there for eight minutes, and then proceeded to Binondo district. Showing peace sign are Jamm (left) and Shea, with China Town ambiance on the background. At first, we were hesitant if we’re going to Binondo or not since it was already past four in the afternoon and the weather was not good. We were in an argue in the middle of Quintin Paredes Road; since Shea won, we immediately crossed the road then turned right, crossing the bridge along Quintin Paredes and took photos by the arch of Binondo (photo above). There’s already a China Town ambiance at the main entrance, a proof that there are Chinese inside the district, with their mouth watering delicacies. Four thirty in the afternoon we were already in front of Binondo Church taking gorgeous shots while the sun was giving us a good weather. It’s my second time entering Binondo Church and I noticed that there’s no change on its interior; Binondo is one of the churches that contains artistic interiors. Its altar has a replica of St. Peters Basilica in Rome. Several paintings of the Holy family can be seen on the ceiling and walls. The curves, lines and circles are present in every sides of the church. Outside front area, there’s a park with a fountain that makes the ambiance of the area even livelier. For our next destination, by the park we rode in a jeepney with a Lawton signboard. Brief History: Binondo Church's original structure was destroyed in 1756 but on the same spot, it was replaced by a new granite church completed in 1852. But during World War II, it was severely damaged, remaining the west facade, walls and bell tower to survive. From Binondo to Intramuros was a less than ten minutes travel. Alighted by the entrance near PLM and took photos again with the old walls on the background. It is my third time walking by the walls of Intramuros but still I am amazed by its appearance. I have been touching old walls and structures in different parts of the country but Intramuros’ gives me a distinct feeling. Enclosed by the walls of Intramuros are the old looking structures and buildings, including this shop called Silahis. As what Shea said: “alam mo parang ikaw yan?” pointing to the shop. I replied: “Bakit naman?” thinking that because I look old. But she replied laughing: “kasi Silahis...” and there, number one tuloy sya sa mga lines that day. 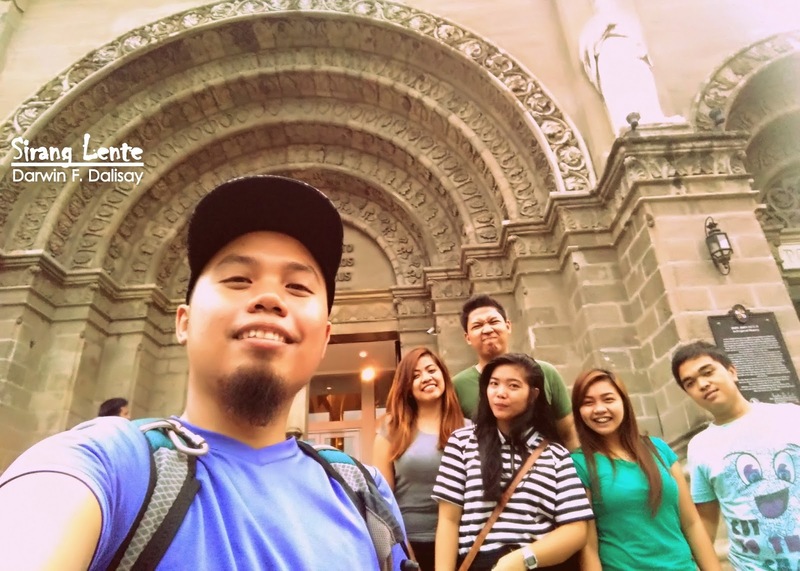 We continued walking on the streets allotted for pedestrians to the oldest church in the Philippines – the San Agustin Church. There’s a creepy feeling when I stepped on the floor of San Agustin because I am seeing tombstones in most of the parts. Each of the lapidas has names, with death dated centuries ago. The chandeliers, lights, paintings, walls, and columns made its interior looks elegant. A gigantic bell at the back also captures the eyes of the visitors. it was already sunset, so we hurriedly walked to Manila Cathedral, just fifteen minutes from San Agustin. 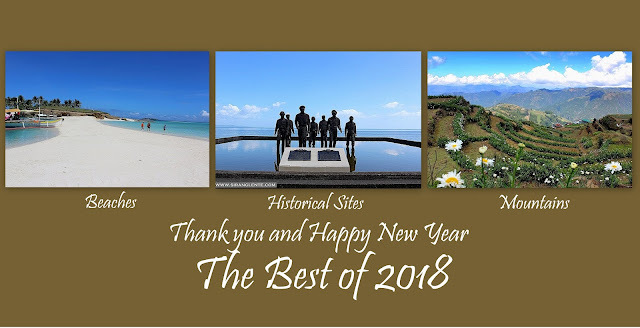 Brief History: San Agustin Church which is considered as the oldest church in the Philippines, recognized by the NCCA and UNESCO historical landmark. The very first structure of San Agustin Church was built in 1571 and was made of nipa and bamboo but was destroyed by fire during the invasion of Limahong, a Chinese pirate, in 1574. The same spot, a new structure was built and was made of wood. In 1586, a new structure made of adobe stone was constructed, lead by the Augustinians. The last time I visited Manila Cathedral, it was still under renovation. After its renovation, this church was made even more beautiful. The facade of Manila Cathedral has gorgeous artwork with huge white statues. Its interior has a darker color but the details are stunning and I felt the cooler ambiance. Outside, there are calesas that can be hired that can bring you to different tourist spots inside Intramuros. Brief History: This church also faced different obstacles; the first structure was made of nipa, wood and bamboo and was damaged and destroyed several times because of fire. Later in 1592, it was reconstructed using stone. On the same location, in 1614, a third structure was built but was again destroyed by earthquake. At the Manila Cathedral, we also met Jira and had our merienda (slash) dinner at her house by the port area, just a walking distance from the Manila Cathedral. There were soda and spaghetti garnished with “happiness.” In behalf of Team Sirang Lente, we would like to thank you Jira and Joner for being so accommodating. ‘TIL NEXT TIME! Summary of Expenses: Cainta to Quiapo Church and vice versa for 80 pesos. Jeepney from Binondo Church to Intramuros for 7 pesos. Port area to Quiapo Church for 7 pesos. Total of 94 pesos. This budget can still be adjusted and can reach more historical spots. If you’re in super tight budget, I highly recommend bringing your own food.